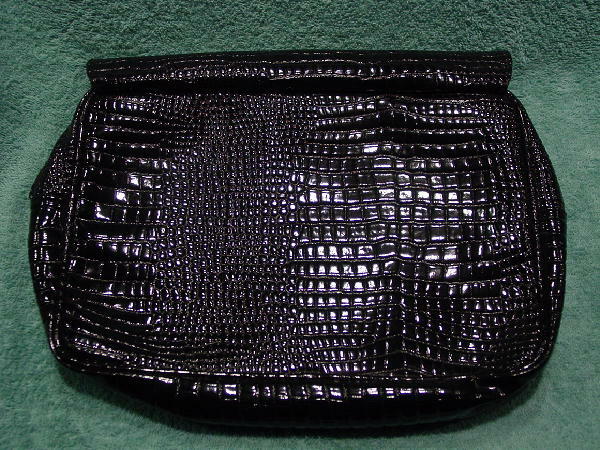 This shiny plastic large clutch has an alligator pattern. It has an envelope styling with a 5/8" by 5/8" gold-tone Givenchy logo snap cover ornament. 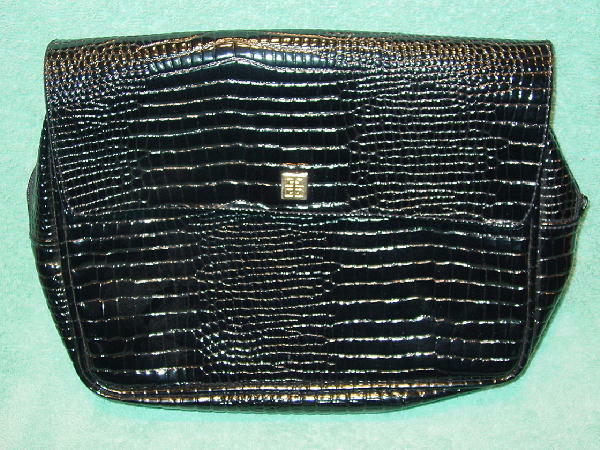 There is a 17 3/4" long side to side top zipper and a black plastic interior lining. She used it as an evening bag.